A good delay was an essential part of the classic analog synthesizer sound. More often than not, that delay came from a tape-style echo machine until affordable digital delays were created. 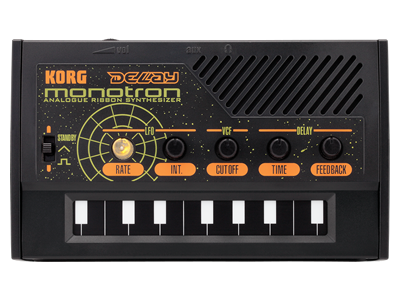 The monotron DELAY is an analog synthesizer optimized for sound effects. In addition to its analog oscillator, filter, and LFO, it also provides a Space Delay that’s indispensible for swooping, cosmic sounds. 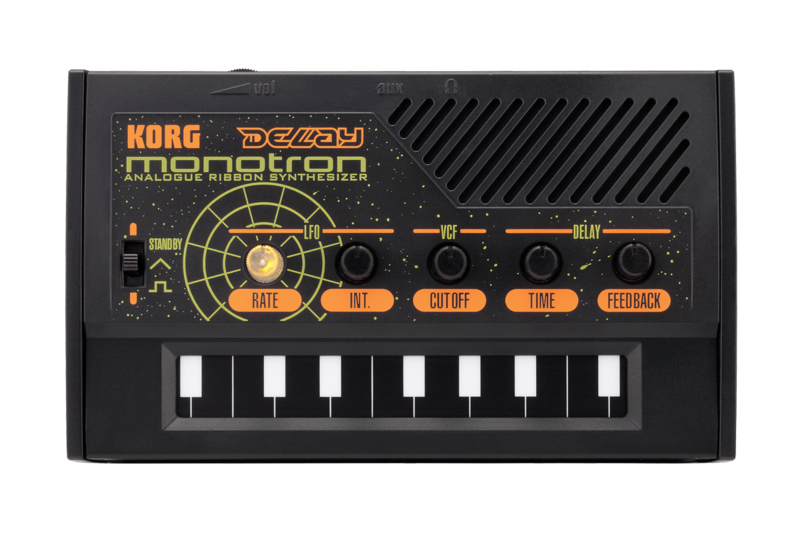 The monotron DELAY even reproduces the pitch changes that occur when you vary the delay time, just as though you were using an analog tape echo. This fat and warm delay will add an authentic edge to your analog sounds! 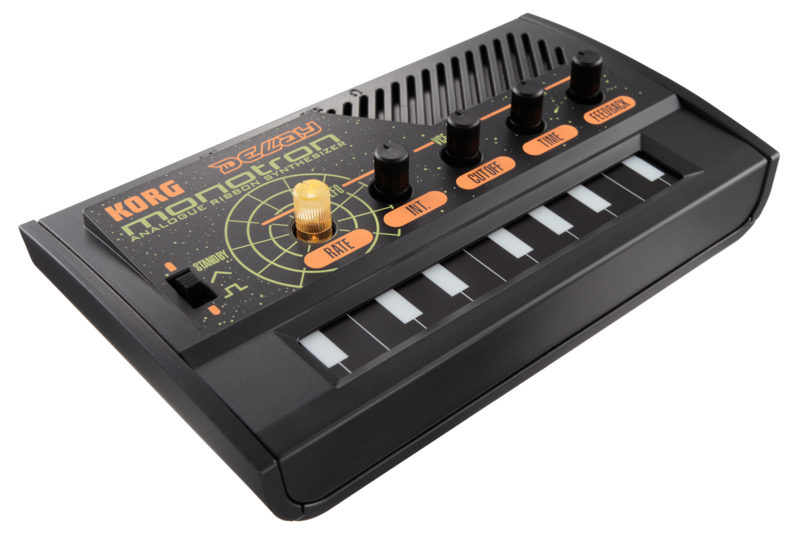 The monotron DELAY’s ribbon controller keyboard features a wide, four-octave range. This design allows the pitch to be controlled even more aggressively and dynamically, making the monotron DELAY a great weapon for a DJ to get the floor moving with irresistible sound. 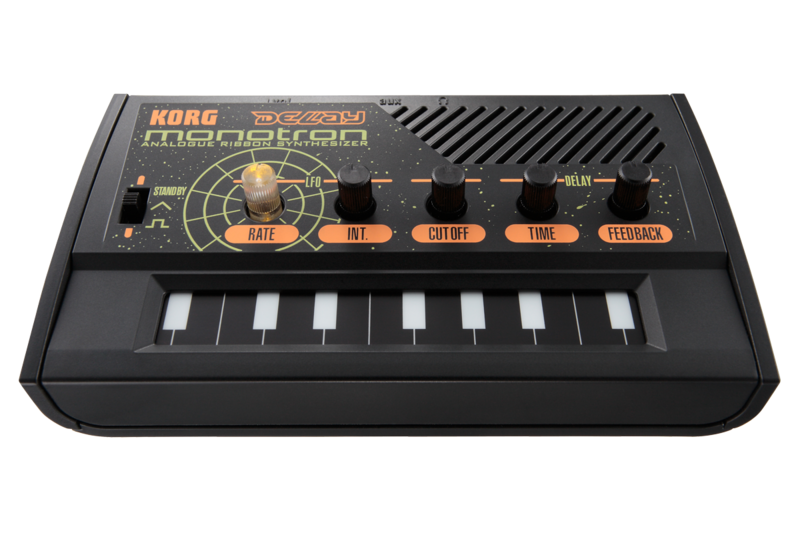 The reversed white keys and body adornments glows under black light illumination, making the monotron DELAY ideal for delivering a striking visual impact in nearly any club environment. The distinctive tone of an analog filter (VCF) can dramatically alter and enrich the sound. The monotron DELAY uses the same highly acclaimed VCF circuit as KORG’s classic MS-10 and MS-20 semi modular synthesizers. Originally released over 30 years ago, these instruments are still coveted today for their aggressive, dynamic filters. The VCF Cutoff knob sets the frequency or tone of the filter; the VCF Peak knob adds emphasis. A powerful filter is an essential aspect of any analog synthesizer, applying dramatic tonal changes to the sound, and projecting an intense personality that will stand out in any live performance. A miniature speaker is built into the monotron DELAY. 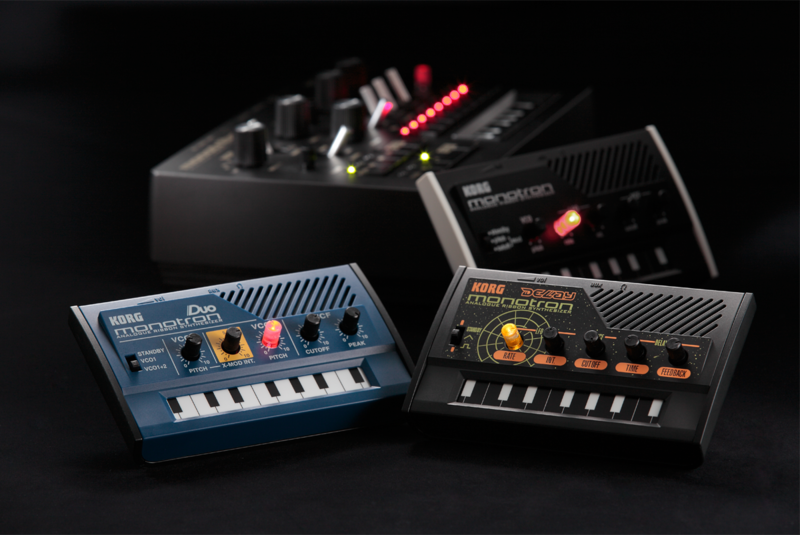 Along with the battery operation and compact size, this feature allows you to enjoy the share the monotron DELAY’s analog synthesis sound with your friends, anywhere, at any time. 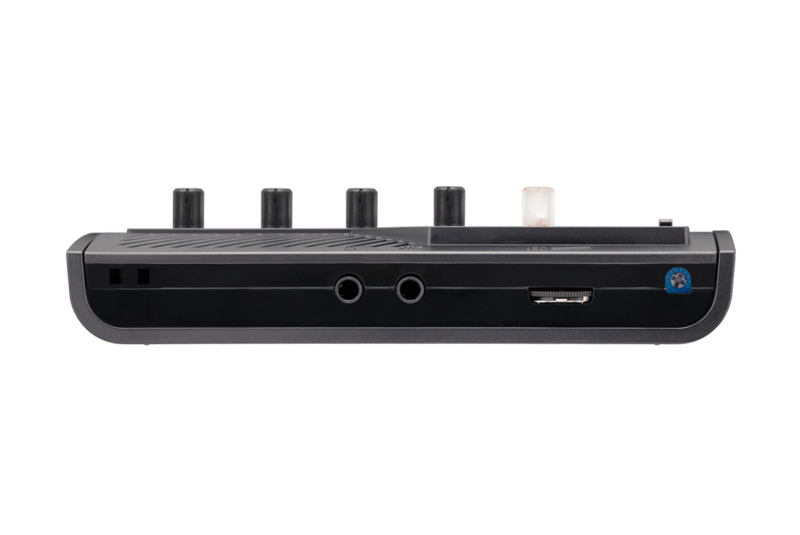 There’s also a headphone output that you can use when practicing in private, creating sounds at home, recording, or for connecting to an amplifier or PA system.